The Department of Mechanical and Aerospace Engineering endeavors to educate high-achieving professionals in mechanical, aerospace and nuclear engineering. A priority is placed on the dissemination of knowledge and technology, and the development of innovative solutions to problems in these fields. The department’s $72.5 million building complex, the Peter L. and Clara M. Scott Laboratory, includes modern classrooms, offices and high-quality space for research laboratories. Accredited by the Accreditation Board for Engineering and Technology (ABET), the department’s undergraduate programs are mechanical engineering and aeronautical and astronautical engineering. A minor in nuclear engineering is also housed in the department. Master’s and doctoral degrees are offered in mechanical, aerospace and nuclear engineering. Mechanical engineering is a diverse field and the broadest of any of the engineering disciplines. It provides a sound foundation for careers in technical management. 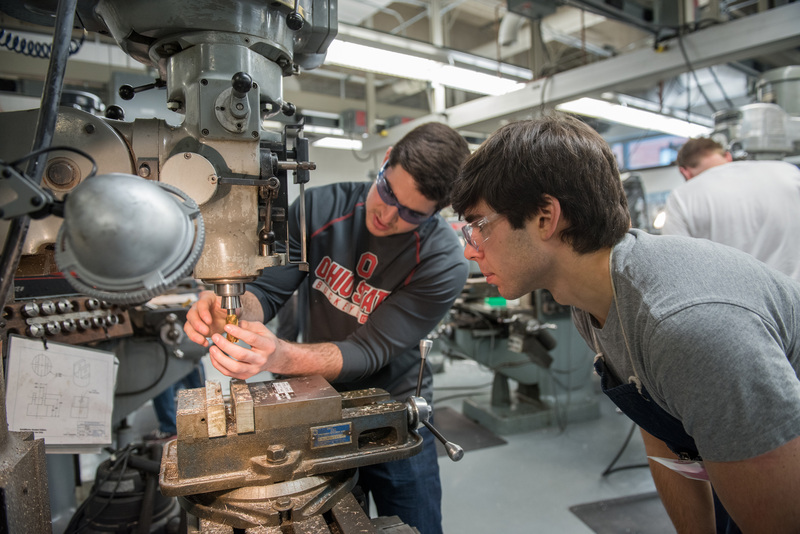 Students in mechanical engineering can choose to study topics ranging from numerical methods to fluid dynamics, heat transfer to automatic control systems and many more. Graduates find jobs in an equally diverse market, working closely with industrial systems engineers in manufacturing, designing products for automakers, designing and manufacturing biomedical devices, improving the efficiency of energy conversion devices and performing cutting-edge research in industrial organizations or agencies. Aerospace engineering is dynamic and forward-driven. It addresses the needs of commercial and military systems for aircraft and spacecraft. Graduates find jobs in aerospace companies, general aviation manufacturers, airlines and government aerospace laboratories or research centers. Nuclear engineering is the application of nuclear science and technology for the benefit of humankind. The safe and economic development of nuclear energy is a major focus for the program. Graduates are in high demand and work for a variety of employers including electric utilities, government research laboratories, universities, medical facilities, regulatory agencies and providers of equipment and services for the nuclear industry. The Department of Mechanical and Aerospace Engineering is comprised of more than 80 faculty members, whose excellence in teaching and research has been acknowledged by national and international organizations. Combined, they hold more than 50 fellow-grade memberships in engineering organizations and professional societies. The record of publications and patents by faculty and students demonstrates the broad scope of the programs and wide range of faculty expertise. Department research activities are built around four subdisciplines central to mechanical, aerospace and nuclear engineering: applied mechanics; dynamic systems, sensing and controls; design and manufacturing; and energy, fluid and thermal systems. Research application areas within these subdisciplines are advanced aerospace systems; advanced automotive systems; bioengineering; energy and environmental quality; design, materials and manufacturing; micro- and nanotechnology; and nuclear science and engineering. Many strong research partnerships exist, including with Ford Motor Company, Honda of Americas, Inc., Honeywell International Inc. and Pratt & Whitney; NASA Glenn Research Center, Air Force Research Laboratory, the Federal Aviation Administration and GE Aviation.